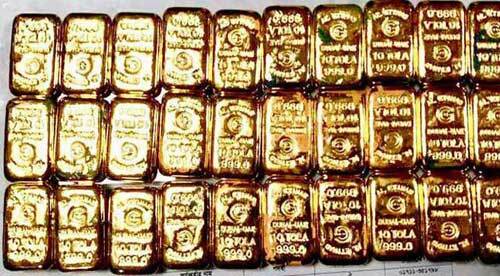 Customs officials on Sunday detained a man with 27 gold bars from Shah Amanat International Airport in Chittagong. Detained Ali Akbar came to the airport this morning by a flight of 'Fly Dubai' Customs assistant commissioner Alamgir Hossain said. They recovered the gold bars after scanning Ali Akbar's baggage, he added. The processing to file a case against him is on, Alamgir said.